The CE Tech 4-Outlet Swivel Wall Tap with 4 USB Ports is perfect for multi-device households and general home/office use. 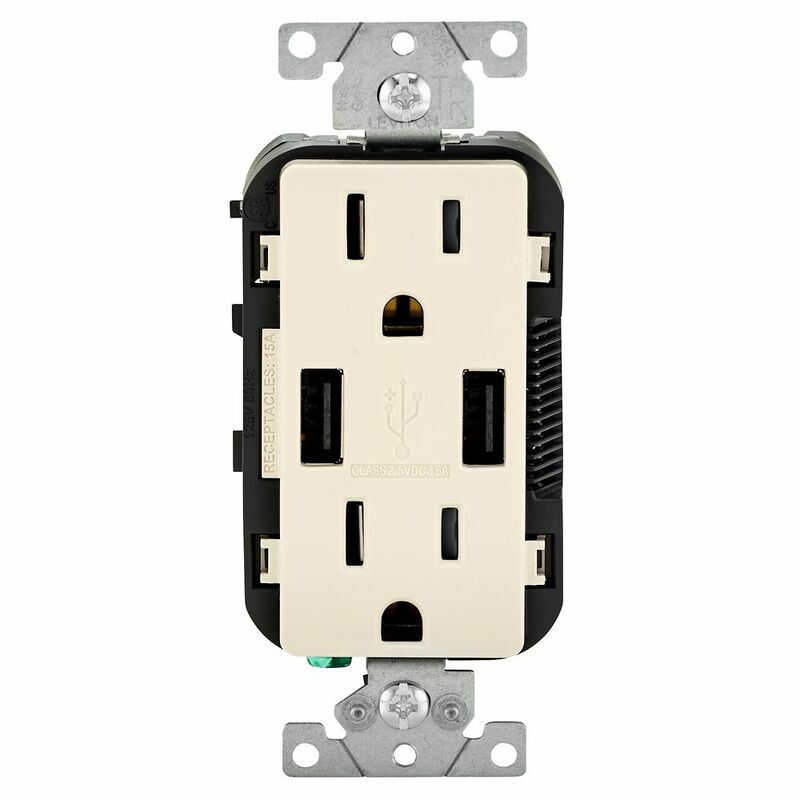 It features four AC outlets and four USB ports (4.2A shared) to quickly charge smartphones, tablets and other mobile devices. Its swiveling outlet design organizes plugs and cords behind furniture and appliances. The CE Tech 4-Outlet Swivel Wall Tap comes with a 1-year limited warranty and its impact-resistant case ensures maximum durability. Tamper Resistant Receptacles are permanent and reliable. They are designed to help protect children from the hazards of inserting foreign objects into electrical receptacles. A shutter mechanism inside the device blocks access to the contacts unless a two-prong plug is inserted, helping ensure foreign objects will be locked out. Tamper Resistant receptacles are required by Canadian Electrical Code in new and renovated residential construction.